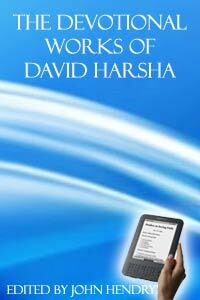 The devotional writing of David Harsha exhibit some of the most powerful attractions of Jesus Christ and that world of glory. To those who are asking the way to Zion, with their faces toward there, the author knows that these themes will be at all times refreshing. Contemplation of Christ and our future felicity in Heaven are the most cheering subjects that can be presented for the contemplation of the Christian in this valley of tears. What can be more delightful than for the weary pilgrim who is fast hastening to mansions in the skies, to meditate on the glories of his future home? David Addison Harsha was born in Argyle, New York, on September 15, 1827. He received a classical education and studied theology, but was prevented from entering the ministry by a chronic bronchial affection. Harsha was a frequent contributor to the press, and has spent most of his life in his native town, engaged in literary pursuits.